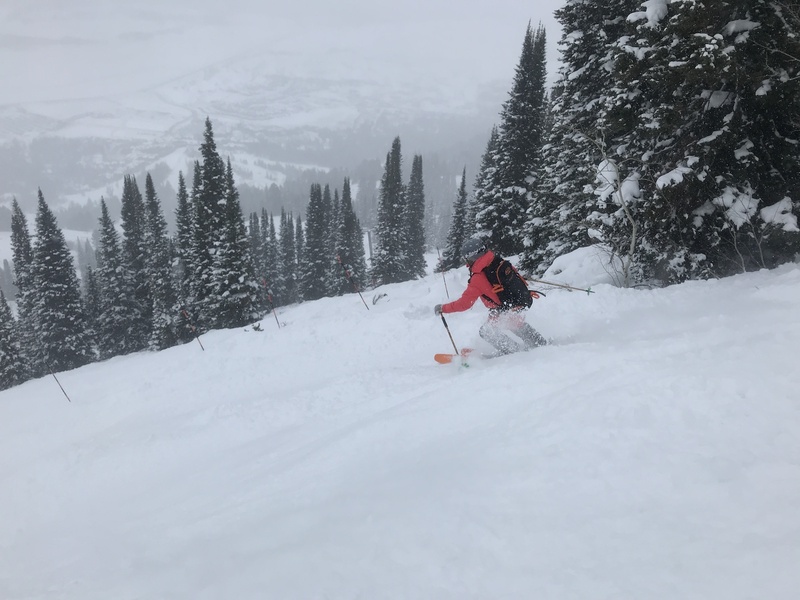 The Northern Rockies have been the place to be to kick off the 2017-18 season and Jackson Hole Mountain Resort is no exception. Thanks to a healthy November storm cycle, Jackson Hole's snowpack rocketed to 45% above-average, followed by 71 inches in December. 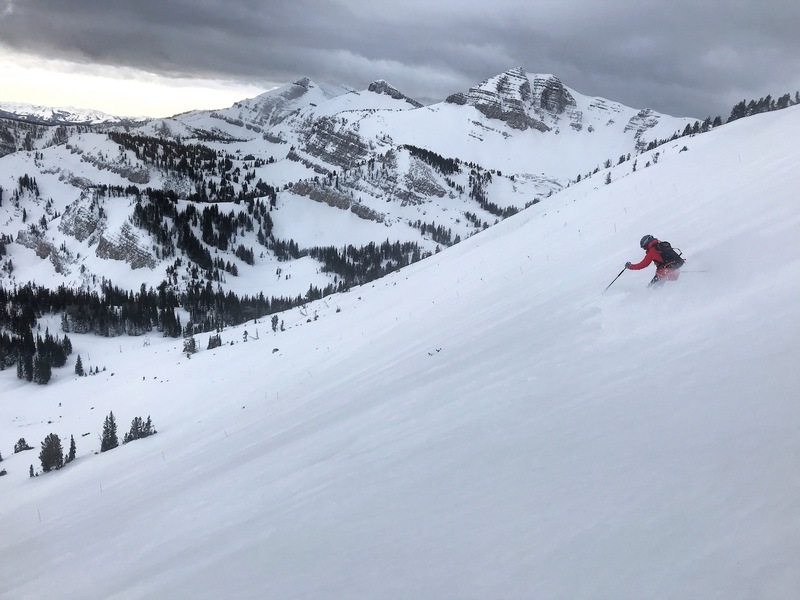 My home is in Boulder, Colorado but I write forecasts for Jackson Hole every morning in the form of the Jackson Hole Daily Snow from November through April. Living in Colorado limits my opportunities for skiing in the Tetons but my girlfriend and I made the pilgrimage north to sample the goods during the final week of 2017. Jackson Hole Mountain Resort is located in northwest Wyoming, only minutes away from Grand Teton National Park and a few hours drive from Yellowstone National Park. The resort offers 2,500 acres of skiable terrain, accessed by 12 lifts and 116 trails. The mountain stretches from a base elevation of 6,311 feet to a summit elevation of 10,450 feet. Our friends at Zrankings.com list Jackson Hole's True Annual Snowfall at 368 inches. 50% of the mountain is considered difficult terrain, 40% intermediate, and 10% easy terrain. 60% of the mountain features an east-facing aspect, 30% south-facing, and 10% north-facing. You can never go wrong when choosing to start your day on Big Red. Jackson Hole's Aerial Tram starts in Teton Village and glides 4,139 feet up to the summit of the mountain in only 12 minutes. 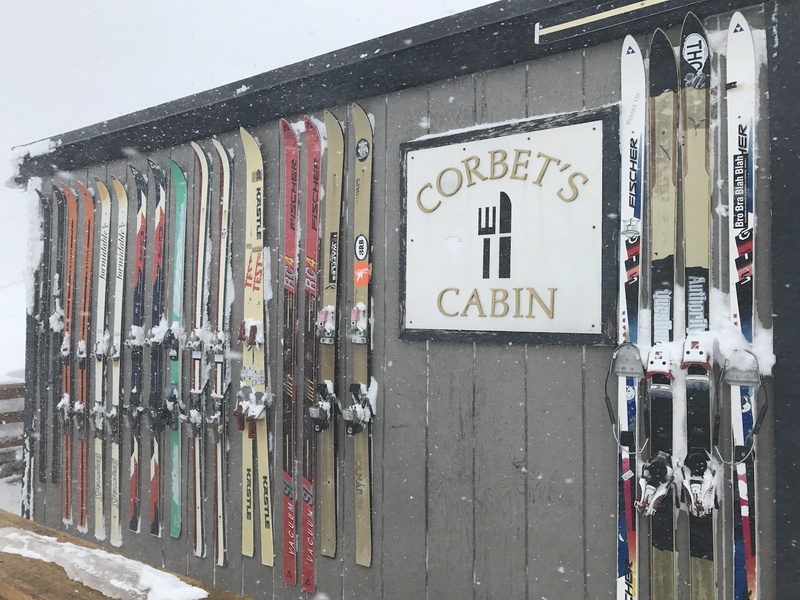 From the summit, you can stop for a quick coffee and waffle at Corbet's Cabin. This a must if you have never visited Jackson. It's then off to Rendezvous Bowl for the first turns of the day. This area is accessed skiers right from Corbet's Cabin. It does receive a lot of wind but as you saw in the cover photo and below, the turns never seem to disappoint during or after a solid storm cycle. After the heart-pumping run down Rendezvous Bowl, we took the Laramie Traverse over to the area just below the Sublette Quad Chair. 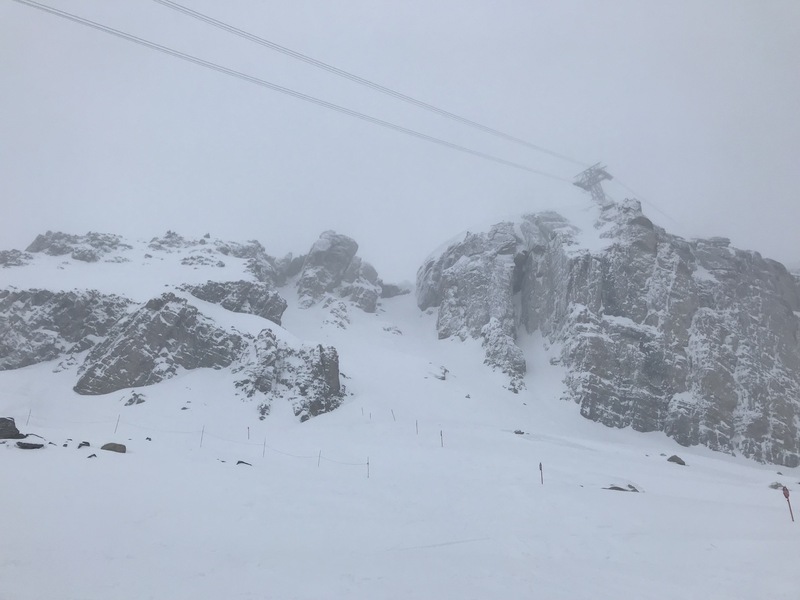 This lift closes often due to wind but it provides access to some of the best expert terrain on the mountain, including the Alta Chutes. If you're looking for a good challenge to start your day, my choice is always Alta 1 in the Alta Chutes. It starts wide but quickly becomes narrower about halfway down, before opening up again at the finish. The possibilities are endless once you finish coming down the Alta Chutes and onto Sublette. Opposite of the Alta Chutes, you can access south-facing runs including Bird In The Hand, Table Rock, and Pepi's Run. All are great choices. 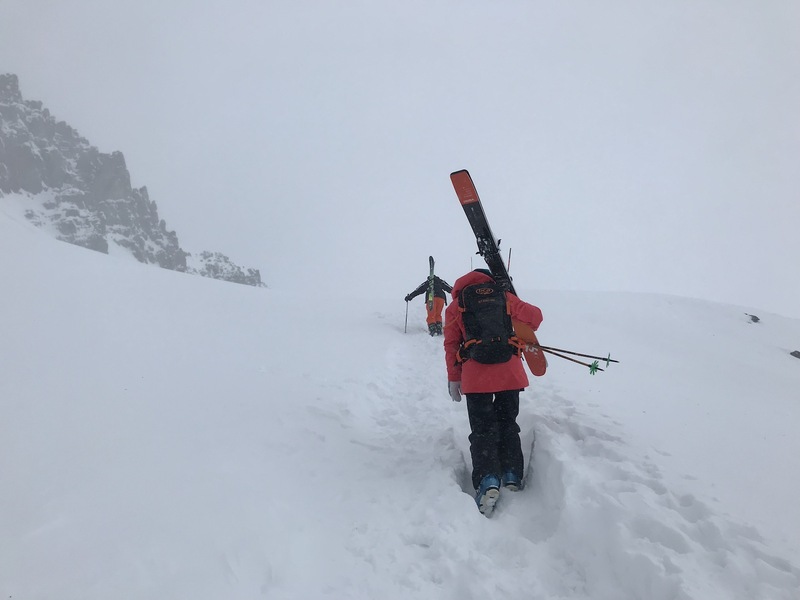 When ready to access other areas on the mountain, we ski right off of the Sublette Quad and take Tensleep to access the area just below Corbet's Couloir. The ride up on Big Red offers a great view but there's nothing like standing above it from off the Tram or just below on Tensleep. From here, you have a few options. 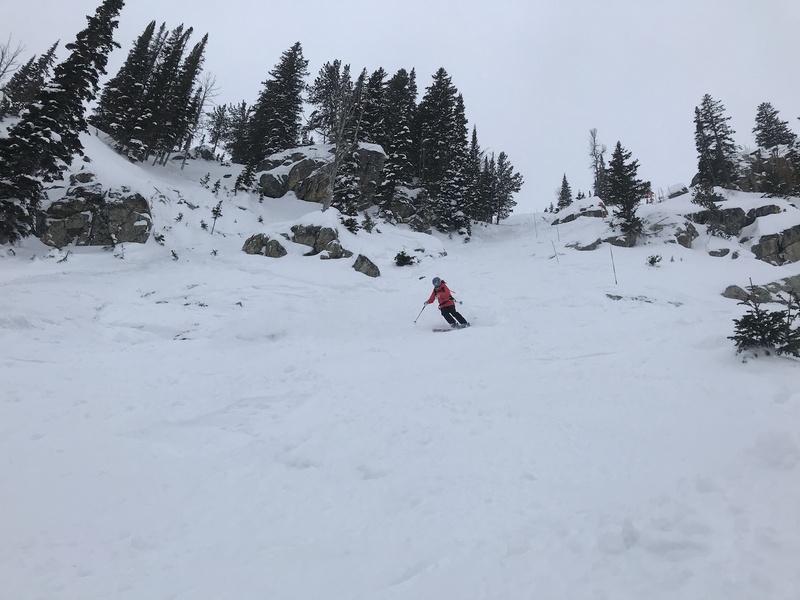 You can continue down the mountain to access the Thunder Quad Chair and the Marmot Double Chair or you can stay high to access the Headwall hike-to terrain. When open, hiking the Headwall is usually my go-to area for the late-morning or early-afternoon. The hike takes about 10-15 minutes (depending on your speed) and it provides access to a vast selection of expert terrain. The classic run down to the summit of the Bridger Gondola is Coombs. This area seems to always hold fresh snow and our time was no different. If you don't drop immediately into Coombs and continue to hike north along the ridge, you can access Casper Bowl. This area should only be accessed if you're an expert skier or rider and feel comfortable negotiating steep and rocky terrain. The Rendezvous Lodge at the summit of the Bridger Gondola is a great spot to have lunch or warm up during the day. The final area on the mountain that we always seem to enjoy is the terrain off of the Teton Lift. 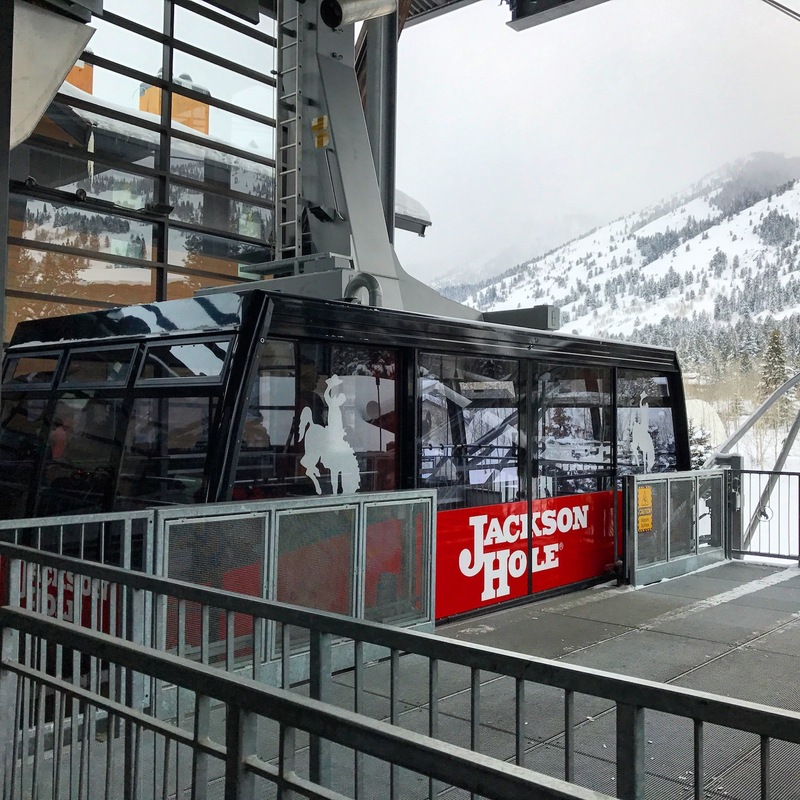 This lift was added during the 2015-16 season in celebration of Jackson Hole's 50th Anniversary. 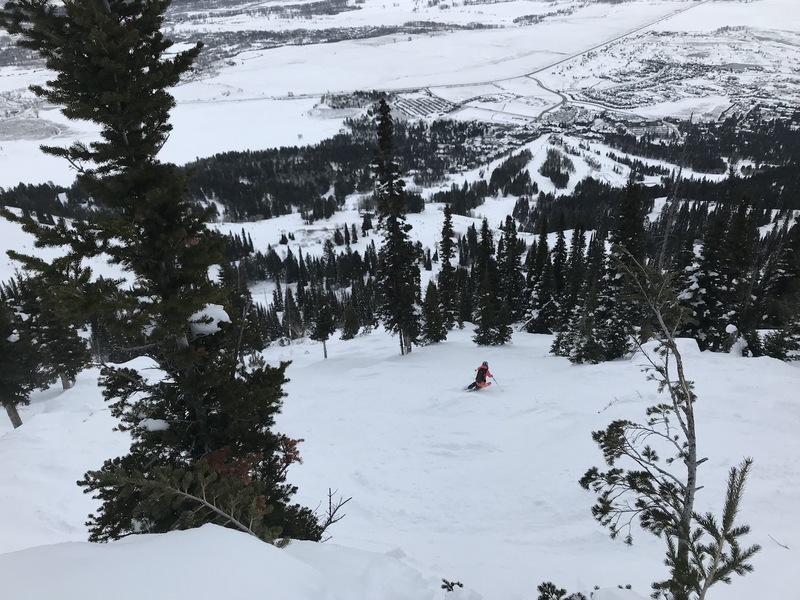 The Teton Lift provides access to 1,722 vertical feet of intermediate and expert terrain, including my personal favorite, Moran Face. Steep turns, dispersed trees, and soft snow? It doesn't get much better than this, especially when there are non-existent lift lines and the ride time is only 4 minutes. You could spend your whole day lapping this area and never ski the same line twice. There's never enough time in a trip to explore every nook-and-cranny of this mountain but hey, that's why you keep coming back! 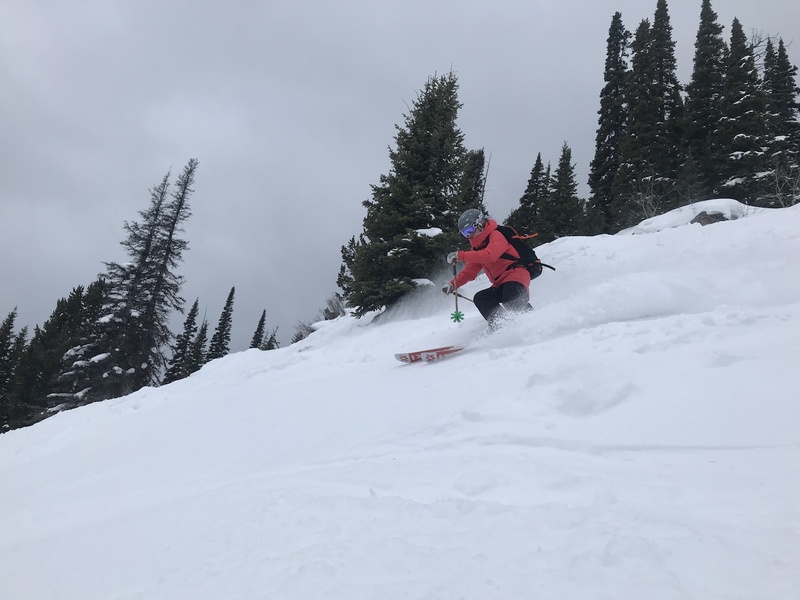 Cheers to another successful trip to the Tetons and as always, stay tuned to the Jackson Hole Daily Snow to catch your next powder day. 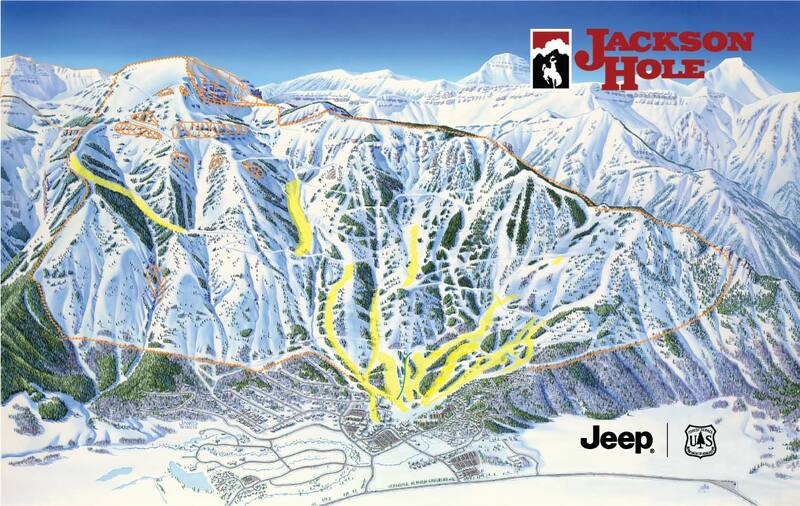 Visit JacksonHole.com for all lodging, event, and other ski-related information.